Having purchased a replacement Bosch distributor [Pt. 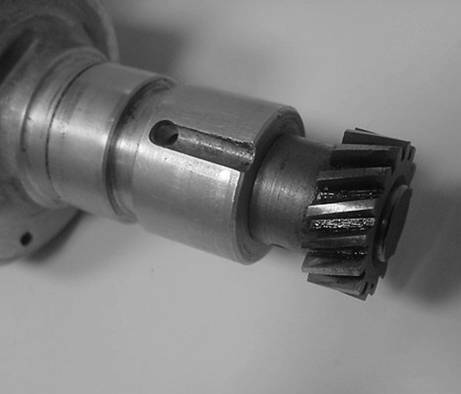 No.403 55 0011] I found that the Austin Seven drive gear overhangs the shaft by about 10 mm which I felt was poor. 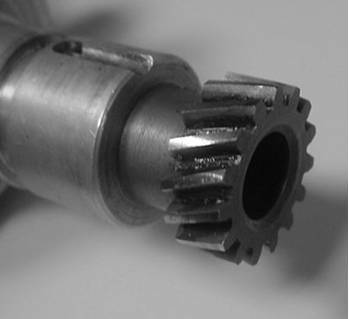 Although there is not much side force on the gear it does mean that the gear is possibly free to rock on the shaft and this would effect the reliability. So what can we do? Option 1 is to do nothing and hope for the best (probably OK) OR Option 2 is to extend the shaft a bit. I chose option two as the best solution. Having stripped the distributor down to the shaft assembly, which is quite straight forward just unscrewing three small screws, you will need to turn up a small mild steel extension piece of 16 mm diameter by 12 mm long. The next step is to fix the two parts together. I filed a couple of small grooves into the end of the distributor shaft and the extension piece to give the silver solder a key. 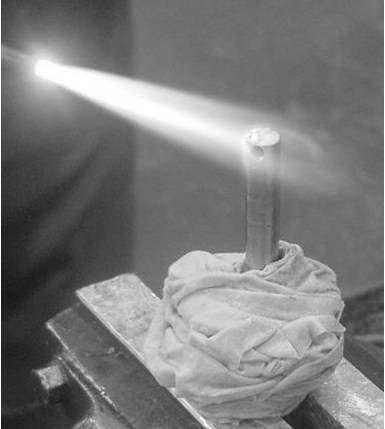 I then covered the working parts with a very wet cloth to prevent heat transferring down the shaft and melting them. I carefully applied heat and the silver solder onto the shaft as if I was soft soldering (called tinning) and then the same to the extension piece. I then waited for them to cool. I then filed the two mating surfaces flat, taking care not to remove all the silver solder, and then placed them together with a little holding force to prevent them from moving. I applied heat and waited for the two to fuse together. 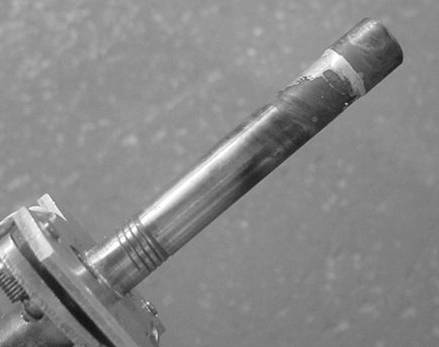 The next task was to position it in the lathe and very gently remove the material from the extension piece until the diameter was the same as the shaft. I used the new drive gear as a check that the size was correct. I also checked that the pin hole has no silver solder in as this would mean that fitting the pin would be difficult. 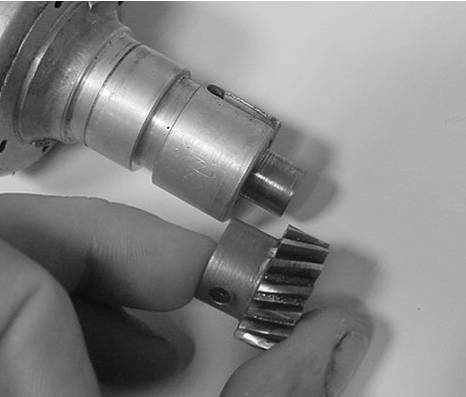 Any solder could be removed with a suitable size drill. 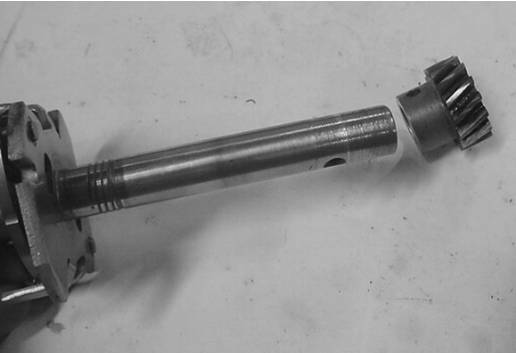 The last job was to rebuild the distributor, coat the shaft with some high melting point grease and fit it to the car. The new distributor gives a much better spark and is very reliable compared with my old original DK4 but it did need a bit of adjustment to suit the car and it may not suit the low compression heads due to the 12 degrees of advance that the Bosch distributor has, compared with the original DK4 which is 3 or 8 dependant on the year. The Bosch has worked well in the Ruby for the last three years and I have now fitted one in the two seater as well. This article, written by Mike Davies, originally appeared in CA7C Seven Focus in Sept 2004 pp8-9.